Paul Sartori has served as a senior executive and advisor for over 25 years in a variety of global roles for large corporations and emerging firms. He is the founder and principal of Virginia-based PennSar Associates LLC, providing strategic organizational and leadership advisory and consulting support to executives and Boards. He is also serving as vice president of Strategy and Operations for Tau Therapeutics, an early stage cancer treatment company, and the chair of the Compensation Committee of Xdynia, which focuses on chronic pain treatments. In addition, Paul is an executive coach with the Darden Graduate School of Business global executive MBA program, and is an officer and Treasurer of the Curry School of Education Foundation at the University of Virginia. He has held roles as the senior human resources executive for major global enterprises: CIBA Corning Diagnostics, the American-Swiss joint venture; Covance, the pharmaceutical developer; and Bausch & Lomb Incorporated, the eye health corporation. From 2000 to 2007, he was a partner with CHM, the N.J.-based consulting and executive recruiting firm. Paul has presented at numerous forums in the U.S., including a national conference for the Center for Creative Leadership, as well as conferences in Europe and Asia. He has been a guest lecturer at the business schools of Cornell, the University of Cape Town in South Africa, and the University of Virginia. 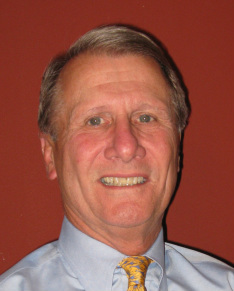 He has been a member of the Advisory Council of the Center for Human Resources Strategy at Rutgers. Paul played a leadership role in the establishment of the Partnership for Leaders in Education, a joint program of the University of Virginia’s Darden Graduate School of Business and the Curry School of Education. Prior to joining the corporate world, Paul held various academic teaching and administrative posts at the University of Virginia, James Madison University and the State Council of Higher Education for Virginia. He earned a B.A. in history, with honors, from Northeastern University; an M.A.T. in history; a Ph.D. in education; and an M.B.A. at the University of Virginia.